KompoZer 0.7 (7.0 MB) is a web authorizing system with an easy-to-use WYSIWYG for web page editing. 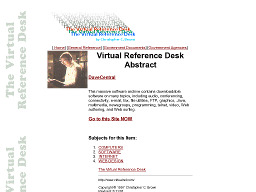 Features include tabbed interface, standard compliant HTML code, integrated FTP management, a powerful CSS editor; supports forms, tables, templates, etc. Freeware for Windows, Linux, Mac. 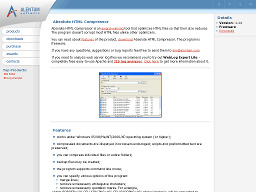 Absolute HTML Compressor Absolute HTML Compressor 1.11 (501 KB) is an award-winning tool that optimizes HTML files so that their size reduces. The program doesn't corrupt most HTML files unlike other optimizers. For Win9x/NT4/ME/2000. Freeware. HTMLZip 1.03 HTMLZip 1.03 (261 kb) is a utility that creates compressed and protected html pages. True compression algorithm provides a size reduction of 20%-70% of the original file size. HTMLZip is compatible with MS Internet Explorer 4.0, 5.0, 5.5, Netscape Navigator 4.x, 6.0, Mozilla/M15-M17, and Opera 4.0 beta 2. Shareware $24.95. Xtort.net Offers daily updates of 100's of pages which list 1000's of freeware alternatives to expensive Windows software. Fractal Validates your HTML email across all the major email clients (i.e. Gmail, Hotmail, Outlook, Lotus Notes) and automatically fixes known email quirks and issues. The report also details fixes not applied to your code. Supports over 24 email clients and 100 CSS properties. FindSticky.com Helps you to find the best FREE or almost free content on the Web to help you increase your site's stickiness. The site currently has 207 content providers listed, broken down into categories such as News headlines, free email, weather, games and more. Completely FREE Software Freeware heaven! A fabulous selection of completely free Windows & DOS software - tested, reviewed and rated. Free weekly email newsletter, freeware CDs available, independent reviews, probably the largest freeware-only site on the Net. 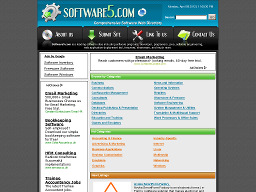 Absolutelyfreebies.com A nice freebie site with useful webmaster, free services and freeware sections. Worth a visit. Osalt.com A directory guide to the best open source software alternatives to popular and widely used commercial products. Open source alternatives are provided for ten major categories of software. 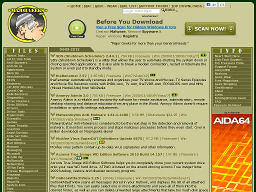 MajorGeeks.com A top shareware /freeware site run by geeks who take the time to install and test programs before listing them on their site. Over 25 major categories of applications to browse through. Surf on over for a look see. DaveCentral A shareware site thats part of the Open Source Development Network. Dave's site has been around for awhile and is definitely one of the better shareware sites on the Web with a vast collection of Windows software and a growing collection of Linux software apps. 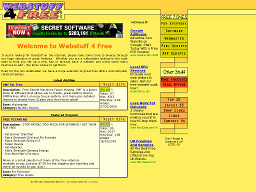 WebStuff4Free.com Another colorful freebies site with useful sections devoted to webmasters, Perl and AASP scripts and software. Site seems relatively new but has potential. FreewareGenius.com One of the better freeware sites, providing detailed program descriptions as well as user and editorial comments. Definitely worth a visit.